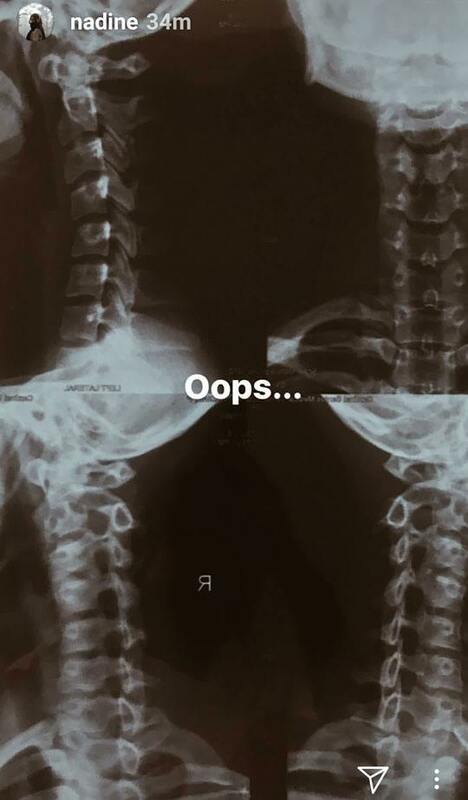 Nadine posted images of her X-ray on IG stories. These days, the only way to put an end to rumors is to address them head on. For Nadine Lustre, it’s "Show, don’t tell." You see, netizens have been coming up with speculations to explain why the taping of Never Not Love You (starring Nadine and James Reid) packed up on Saturday, January 13. The film’s director, Antoinette Jadaone, confirmed the shoot delay via a tweet that said, "Woke up to know pack up ang shoot bigla. Now what to do today?" On January 15, in a post via her personal blog, Direk Tonet wrote, "Filming for #foolishmovie is becoming erratic. Sayang, andun na ang momentum eh. More and more shooting days cancelled—some reasons more heartbreaking than others, so heartbreaking they make me cry. Or maybe I am just being overly dramatic, or that’s just really how I value pelikula. "I’m just worried. I hope I sustain my excitement for as long as I can. I know myself too well—I work better when I am excited, when I am inspired. Lord, grant me patience. I pray for this movie. I pray for myself too. Take it easy, teh." The "#foolishmovie" that the director was referring to is assumed to be the JaDine movie currently being filmed, which was formerly titled Here’s to the Fools. Many have commented that it was because of James’ intense hangover, with others even showing clips of the 24-year-old actor and recording artist in a bar the night before. 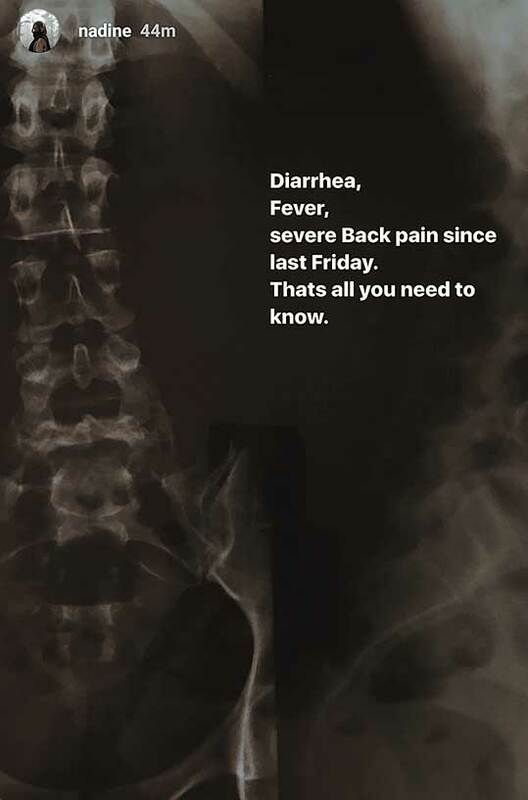 In response to speculations, Nadine, through her IG stories, posted images of her X-ray with a caption, "Diarrhea, fever, [and] severe back pain since last Friday. That’s all you need to know." 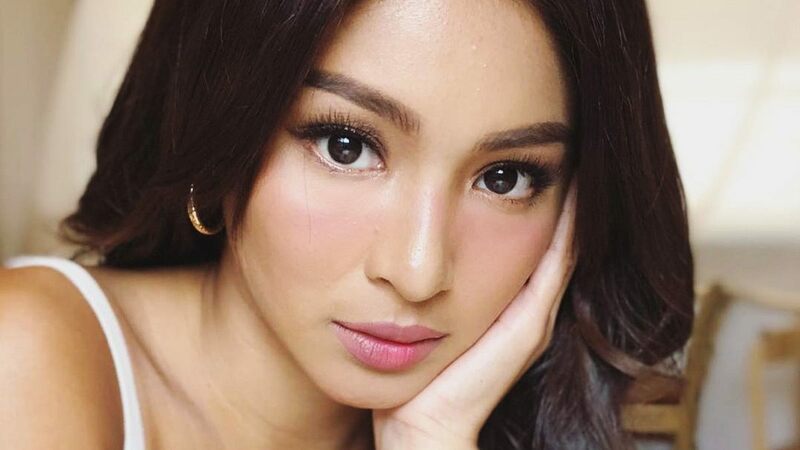 While Nadine did not directly answer the rumors, the post, to many, cleared up some of the negative speculations on social media. There is no official statement yet from the love team's management or the movie producers.